IAM, RoSPA & Advanced Motorcycle Training Ltd. Shortly after passing their test and gaining a full motorcycle licence, it quickly becomes apparent to a new rider that there are several organisations offering post-test and advanced training for motorcyclists: ourselves, the Institute of Advanced Motorists (IAM), and the Royal Society for the Prevention of Accidents (RosPA). BikeSafe is different in that it bridges the gap from passing the motorcycle test and going on to further training taking the form of an assessment. It is also well worth doing. The aim of them all is to promote higher levels of riding skill and consequently make motorcycling safer and more enjoyable for everyone. Given that riding a motorcycle is a specialist set of skills it is best practice for riders to engage in ongoing development, regardless of experience. The IAM is a charity committed to the public interest in road safety and they have separate road safety sectors divided into drivers and riders. RoSPA is a little different in that it monitors standards across a variety of industries and driving / motorcycling is one of those. They are well recognised and respected in many sectors of industries dealing with a variety of safety aspects relating to an industry. Both RoSPA and the IAM have advanced motorcycle riding tests, separately accredited by the Driver and Vehicle Standards Agency (DVSA), the UK’s governing body for driving and riding standards. We cheerfully embrace any organisation whose aim and objectives are to improve the standard of motorcycling for the benefit of all riders and road-users. We would encourage riders to participate in the IAM and RoSPA programmes. The IAM has a network of volunteers across the UK, spilt into different groups of volunteers that have committees, ride-outs, also organising various events for their members. RoSPA is similar though there are far less volunteers and groups available. The volunteers within the organisations have a variety of roles and a number have qualified within their organisation to become Observers or Senior / Chief Observers, a nod to the additional experience that each should have as their ranking climbs within their group or the organisation. The observers are the people that will give you guidance on your riding with the aim of completing a pass at an advanced test within their organisation. 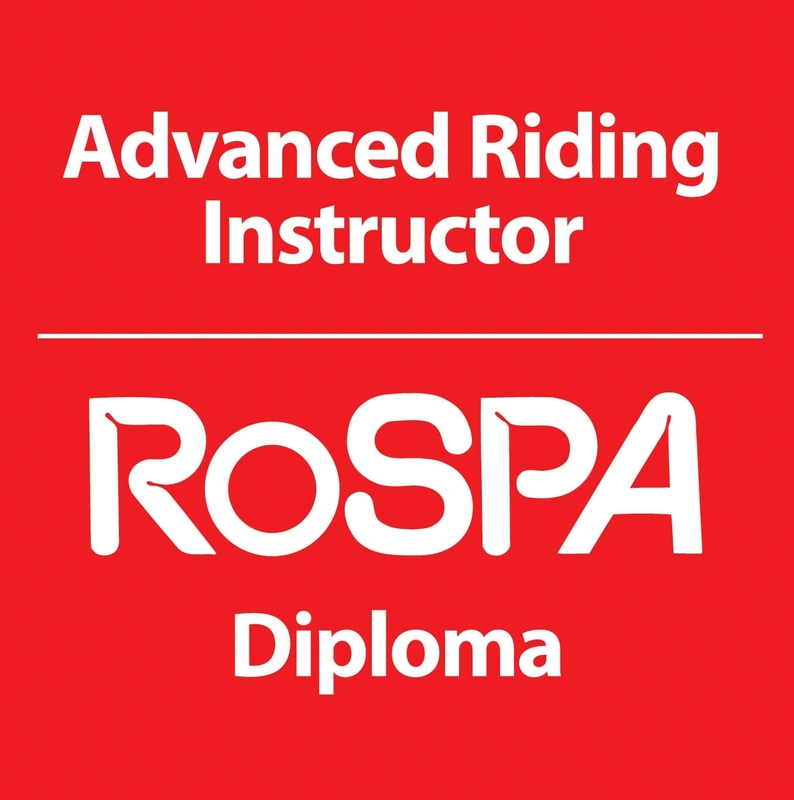 Both RoSPA and the IAM have different levels or grades of a ‘pass’ for their advanced riding test. The IAM Masters and RoSPA Gold grade each vying for their place as the number one advanced civilian riding test. Our experience is that both tests are a very good standard. Advanced Motorcycle Training Ltd. is a professional motorcycle training business. We are dedicated daily to delivering coaching and training in advanced skills and safety to a level up to and far exceeding that required for the IAM and RoSPA tests. We are independent, therefore enabling us to be objective about standards, flexible in our approach to riders and adopt 'best practices'. Our teaching methods and coaching skills are normally only found in the training of highly skilled professional riders. This is the distinction between providing advanced motorcycle training professionally as a paid for service versus a volunteer system. Paul Dickinson our Director and Riding Coach for example has approximately 40,000 hours of training experience accumulated over a period of 20 years as a professional trainer. Notwithstanding his independent professional qualifications. The extent of this experience brings about a different approach and an enhanced value to the learning experience for the advanced rider and those who wish to become advanced. We are specialists in advanced training and it is our full-time occupation. We can proudly say that we are experts in the field of advanced motorcycle training. Having prepared for and passed either one of the tests the rider will have demonstrated a commitment to advancing their skills and safety and is to be respected. However, the learning doesn’t stop there. As with licence acquisition, passing an advanced test is the beginning of a new experience, a new level and new horizons with skills that have yet to be explored. This means that not only can we take you to an advanced test level, but we can develop your level of skill well beyond that and to a level at which you are happy with your own riding performance.